IOCL Recruitment 2018 For Trade Apprentice ITI Diploma Students without GATE Score Card. 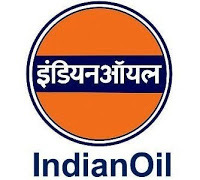 Indian Oil Corporation Limited IOCL has released a new notification for the recruitment of 350 Trade apprentices without GATE score card for its western region units includes Maharashtra/Gujarat/Goa/Madhya Pradesh/Chhattisgarh/UT of Dadra & Nagar Haveli. All those candidates who are interested can check the official notification on its official website www.iocl.com. Apply online link is open from 5.2.2018 and will close to 20.02.2018. One must read the important details like education eligibility, age limit, job location, selection procedure and pay scale, before applying for these posts. We are sharing the important details below to make you easy for understanding the official notification document. Education Qualification: Candidates should have passed 10th standard with 2 years ITI Course in relevant trade from a recognized institute/organization. Age Limit: Minimum 18 years and maximum 24 years as on 31.01.2018. Age relaxation: Age relaxation as per the reserved category of candidates and rules of Govt. of India. 5 Years for SC/ST candidates, 3 Years for OBC and 10 Years for PWD candidates. All the eligible candidates will go through the written examination which is to be qualified to appear in the next stage of Personal Interview. Selection of candidates will be made on the basis of performance in written exam/test and personal interview. All the interested and eligible candidates may apply online through IOCL official website www.iocl.com from 05.02.2018 to last date 20.02.2018. Last date of online application: 20 Feb, 2018.